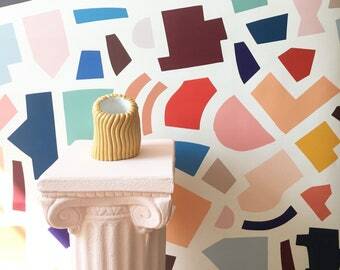 "Muse" in multicolor is a bright and beautiful wallpaper and we want to put it on everything! 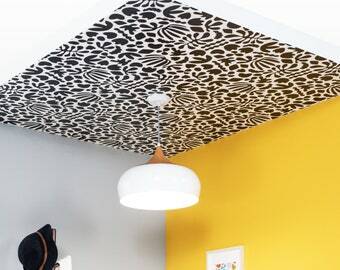 This removable wallpaper is easy to apply and easy to remove, ideal for revamping a drab space, hidden nook, or brightening up the loo! This material is not peel and stick. It is more like an old fashioned stamp, wetted with water to activate the low impact adhesive on the back. Detailed directions are sent with every order, you can also find them here! All wallpaper has a 1-2 week turn around. If installed properly, wallpaper can last up to 20 years and still be removed at any time. The repeat of this design is 24" X 22.5" inches. *Want this in custom colors? EMAIL US at info@katezarembacompany (dot) com with the subject: CUSTOM COLORS MUSE along with images of your color choices. Please note there is a $75 customization fee. It’s so beautiful, and easy to install. The wallpaper is gorgeous, and easy to work with. Some thing to note - the pattern on the wallpaper is quite long (i.e. 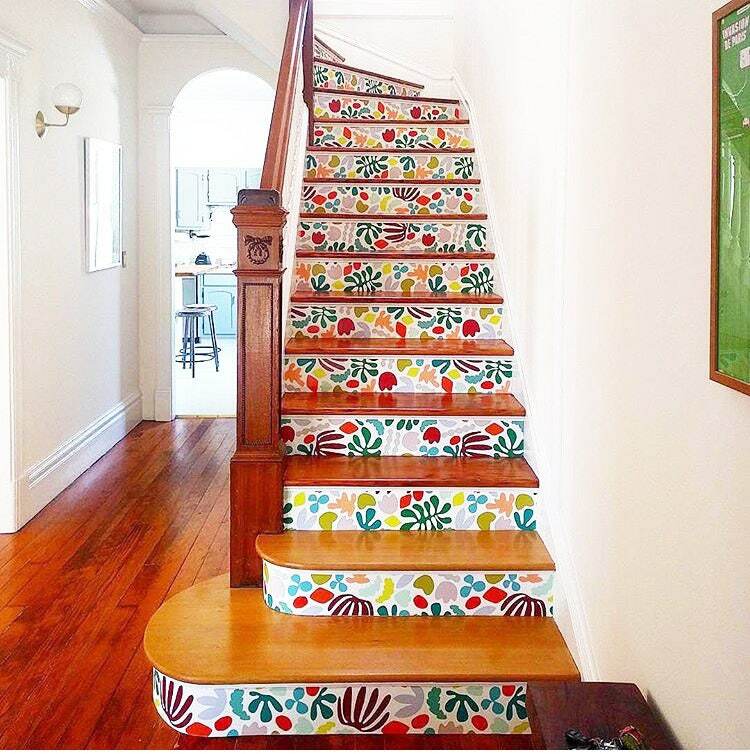 there is a large vertical distance before the pattern repeats), which makes papering irregular spaces somewhat challenging. We also learned the hard way that different lengths of wallpaper (4ft vs 6ft) don't have the same starting point in terms of pattern at the top; I wish this were communicated more clearly on the website because it impacts how much paper you need for a space. Wallpaper is pretty, but did not arrive in time for my project. I hope to find some use for it in the future as it could not be returned.